Choose a Lean-to Conservatory from Select Products if you want at cost-effective option that will make a great addition to your home in Leeds. What makes lean-to conservatories so popular is their simplistic design that can be teamed with a variety of door options and glazing choices for the perfect extension. The clean straight lines of the Lean-to conservatory make it the perfect solution for a contemporary finish, which creates a welcoming and relaxing environment to enjoy throughout the year. Contact us for further details and conservatory prices. Lean-to conservatories are the perfect choice if you own a property in Leeds with height restrictions, such as a bungalow. The low pitched roof of the lean-to can be tailor made to fit into awkward spaces and will also make a superb choice for terrace houses. Designed to be as small or as large as required, you can really benefit from the additional space a lean-to conservatory has to offer. 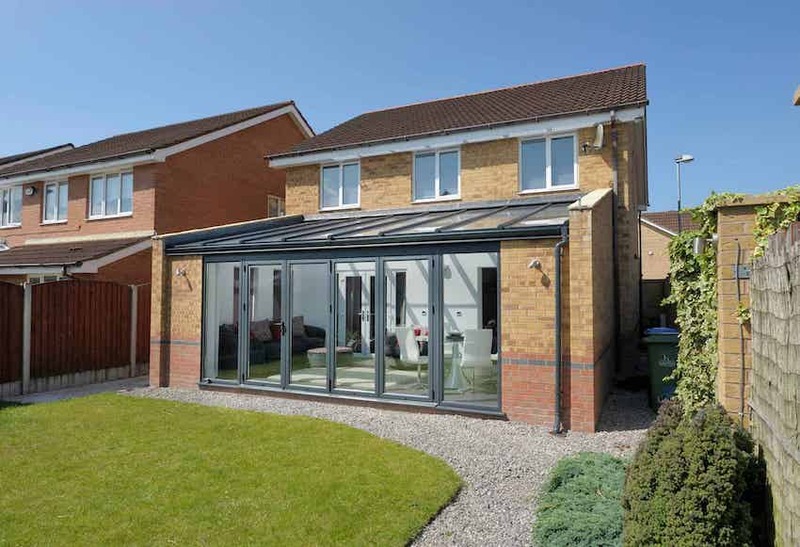 A lean-to conservatory from Ultraframe is available in a wide variety of colours and finishes to complement your home. These include the classic white, light oak, mahogany or rose wood, or for a bespoke colour choose from our foil range such as fir green, cream, grey, sage green or black. Glazing options are also on offer including Georgian bars, leaded squares or diamonds. A lean-to conservatory is either square or rectangular in format. This is especially important if you have limited space available in your garden. You’ll be able to maximise the amount of room you have available and convert it into a lounge, dining room, study – or even a playroom for the children to use if your living room is overflowing with lots of toys. By choosing the lean-to conservatory design, you’ll be adding market-appeal to your home. This means that your property will be a more attractive proposition to potential buyers when the time comes to sell. In the meantime, you’ll be able to save on moving costs by creating the additional room you need without the need to relocate elsewhere. 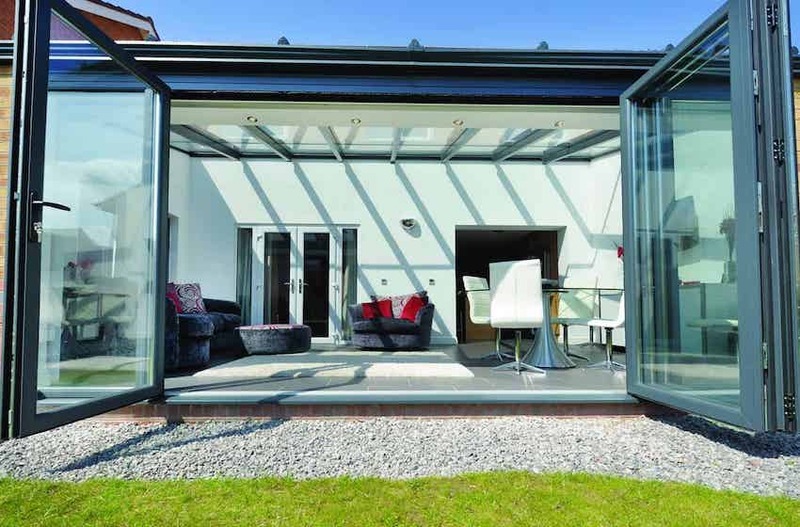 A lean-to conservatory can utilise existing walls as part of its structure. This speeds up the installation process and means fewer materials will be needed to build your new room space. You’ll be able to enjoy your conservatory sooner rather than later and relax, knowing that you’ve made a cost-effective investment. Because of its square or rectangular shape, the lean-to conservatory will allow you arrange your room as you see fit and without wasting a single square inch. 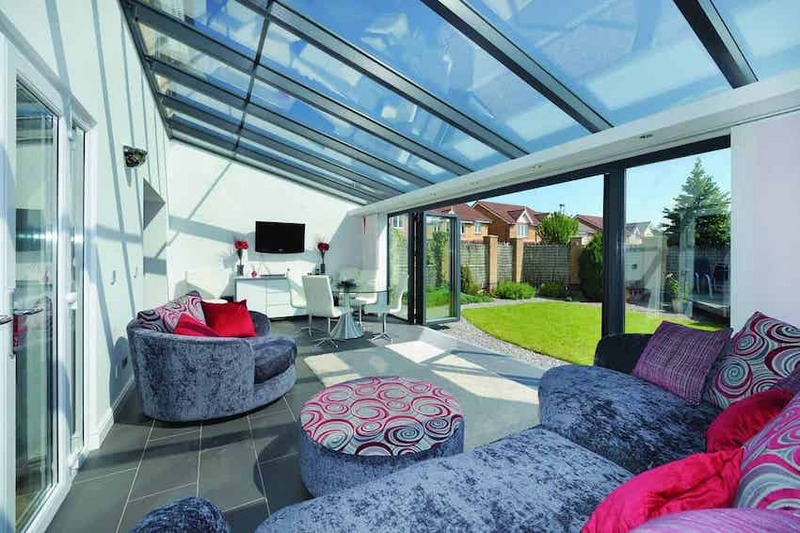 Choose sliding patio or bi-folding doors to optimise your lean-to conservatory. That way you won’t need to worry about furniture. 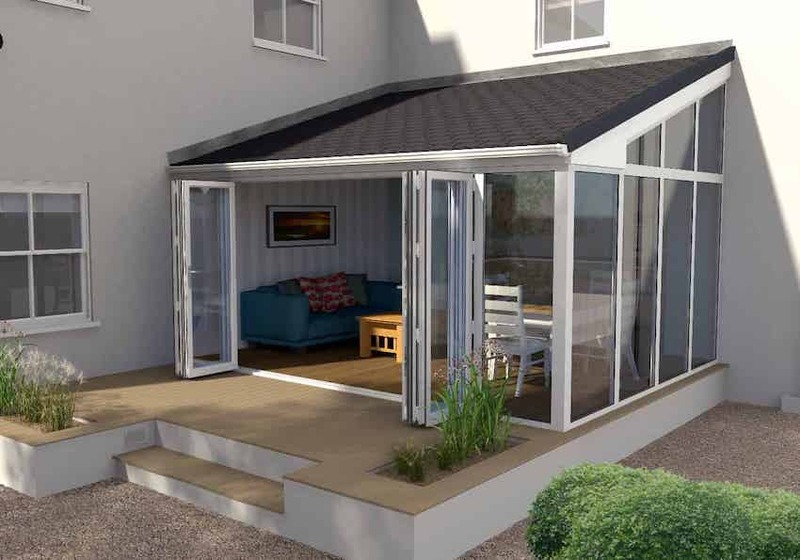 Here at Select Products, we understand how important the security of your home and family are, which is why each Ultraframe lean-to conservatory comes with high security locking systems for your peace of mind. 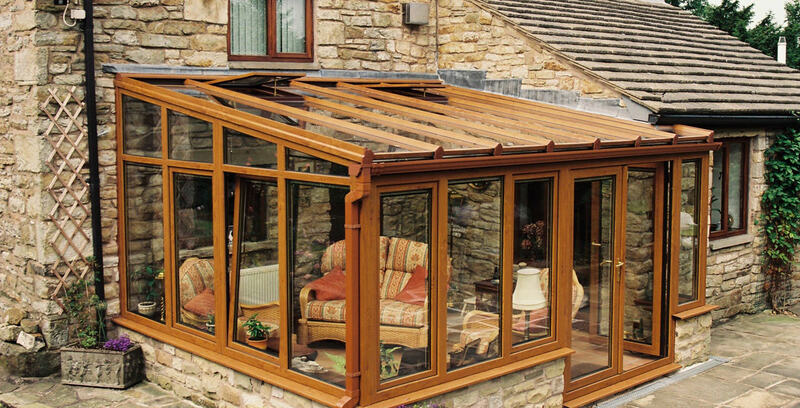 With the help of advanced technology – and high levels of safety features – the lean-to conservatory couldn’t be safer. Each double-glazed conservatory unit is internally beaded to reduce the risk of a break-in. This means the glass panes cannot be removed from the outside. Our experience of installing conservatories – combined with the market-leading quality of the Ultraframe products we use – means that you’ll benefit from a brand-new room that will look stunning and last for a very long time. 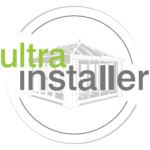 Select Products is an approved Ultra Installer and has achieved Secured by Design status for its products too. Our strong reputation on Checkatrade means that you’ll be able to read reviews of our work before selecting us as your preferred installer. Your lean-to conservatory will come with a genuine manufacturer’s warrant for your peace of mind. Why not book an appointment for an experienced member of the Select Products team to come to your home and complete an initial assessment. If you’re on a tight budget, then this is the perfect conservatory for you. You can benefit from everything a larger or more elaborate conservatory has such as energy efficiency, contemporary style and a variety of roofing options but at a very reasonable price that won’t break the bank. A perfect way of adding value to your home in Leeds that will really attract the attention of any potential buyers. This makes the installation of a lean-to conservatory in Leeds a very worthwhile investment. Use our online quote engine to calculate the cost of your lean-to conservatory. All you need to do is enter your proposed measurements, design features and postcode, and you’ll see your guide prices in minutes.